It’s crucial to engage Ebola in dialogue. American citizens need to understand how much we have in common with the virus. 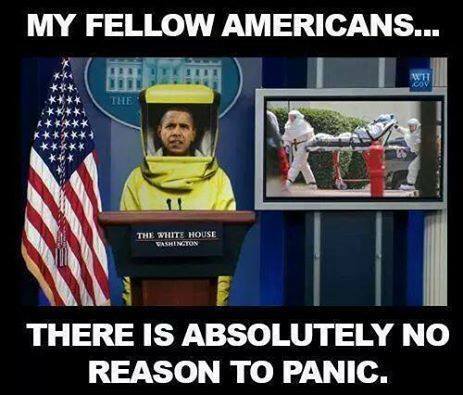 The vast majority of Ebola organisms are peaceful. A tiny minority of extremists has hijacked a great disease and given it a bad name. Therefore I have signed an executive order directing the CDC to work with moderate elements in the Ebola community to establish a just and lasting healthfulness. The president declined to take reporters’ questions after making his remarks, saying that he was late for the first tee. Posted in Barack Obama and tagged Healthcare, ISIS, Obama.